Looks like a glorified windmill palm to me. That picture signifies everything I dislike, look at all that beautiful temperate vegetation ruined by that one palm tree. Do these look out of place to you? These don't, but there's plenty of subtropical flora around those palms. That is a beautiful picture, btw , is that the Mediterranean Coast of France? 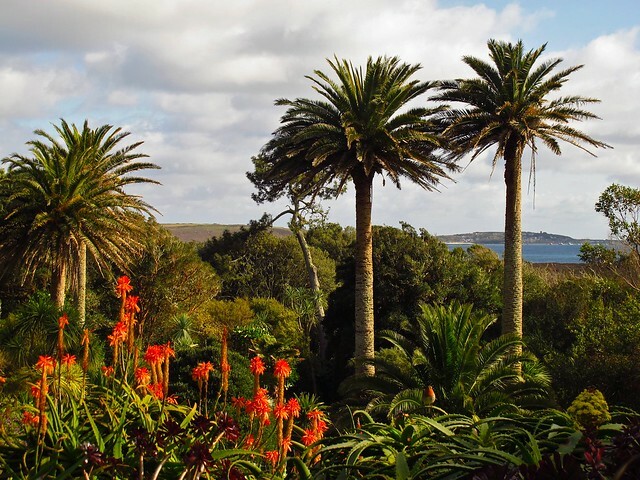 Judging by the palm and the Pampas grass, it could be the other vegetation most out of it's usual climate range. 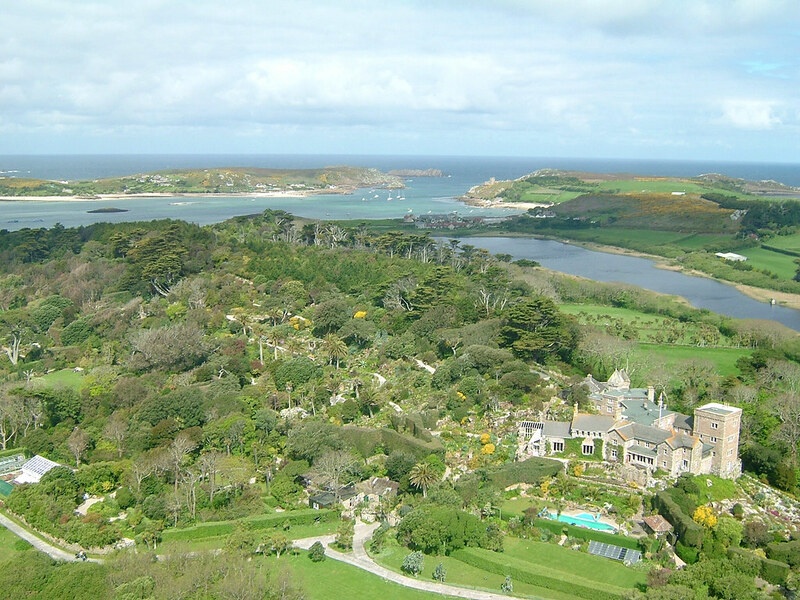 It's Scilly, off the coast of Cornwall at 50N. Looks fine there, but if you went back a bit you'd probably get sight of the sparse rolling hills that typify the English landscape.. even the Scilly Isles. Well, isn't it in an "exotic" botanical park? I do not think that our "palm haters" would think they fit well in this beattiful very oceanic-looking place. I guess that what might seem "out of place" for som people with many palms we used to see in mediterranean, arid or semi-arid places is to see them in very "green" areas, even if the mild low temperatures fit to them very well actually.